Congratulations Katie! Wondered what had happened with the cake. Now maybe you can rest and get ready for Christmas at home! how can you forget to get them?!? Oh dear Flower......you missed the Clooney Wedding !! Oh no.....CRS......that was the wedding Katie arranged. Welcome back Lakin, chillax on the couch, take care good of yourself and you will be up and running in no time! theminis wrote: Welcome back Lakin, chillax on the couch, take care good of yourself and you will be up and running in no time! Funny you should use that term. I told Terry I was just chillaxin' in the recliner and he said he'd never heard that before! thanks all for the warm welcome home! Sorry I'm late! Welcome back Lakin!!! Katie, congrats on pulling off the wedding! ok I had to go back and find the wedding talk...totally missed it. Glad it worked out---I am sure it was beautiful...but who forgets the rings???? Just watching Sky & CNN news about the terrible shootings at the school in Connecticut....just heart breaking. I thought about Cindigirl as she has family around there but not sure where. Hope all is well for you Cindi and all our friends on here. Such wickedness is beyond understanding. I am sick to my stomach over this. I can't stop crying. It is so senseless...these poor babies and families. I just read the latest news. "Connecticut authorities responded to a shooting at an elementary school Friday and reportedly say 18 children are among the dead." Thanks Joanna for your concern but my family is safe in NJ. It happend about 9:30 this morning and is reported that the shooter is a son of a teacher and that's why they let him in. He must have been carrying a gun and no one noticed. The school is safety conscious by locking the door but it's sad to think that anyone visiting the school has to be searched for a gun. This is another unimaginable horror! Pleased for you Cindi....but very sad for all those families involved. They are scarred for life now. then killed his teacher mother and her class of children. He's taken his own life now. When this kind of thing happens, I always think that if someone wants to end their own life, then that's their choice. But why oh why do they have to take other lives too. Because these people are evil and deranged. My 3 and 5 year old boys are getting extra extra hugs and kisses tonight. My thoughts and prayers go out to the families and parents in Connecticut. Again another act of senseless violence. Gun control now, why do we continue to allow everyone access to guns? Especially the type of weapons used in all these school shootings! All guns kill, but the ones used in these type of shootings no one needs to own. Mental illness so many of us suffer from, so why put a gun that can kill many with little effort into a sick persons hands? Why these innocent children had to die, because someone was ready to die? I'am so upset please forgive my emotions. Definately doens´t fall under the category of "December chit chat". safe neighborhood. There's no such thing as a safe neighborhood. Too sad and unimaginable pain for the parents, family. There is no understanding. Lucy and BiC, I couldn't agree more. Horrified that schools have to have a lock-down policy! This is Victoria. She died a hero. She hid her first graders in the cabinets and closets after hearing the gunfire. When the shooter came to her classroom, she told him that her students were in the gym. He then gunned her down and moved on. She saved the lives of all of her students. Continued media coverage, fixating on a mass murderer, media is giving other lonely, angry young men some ideas of how they could leave mark on the world. In the absence of hard facts, speculation is a regular fallback. Correspondents and other "experts" in the news persist in diagnosing him, a young man none of them had ever met or even heard of until hours earlier. That is pretty crazy. Well, the fact is that it is much more difficult to get in to the industrial building than to the school. Safety measures are high. Maybe something like that will have to be implemented in school world also. We as a nation need to stop making these people who in life feel as if they are nothing, into the monster that goes down in history as being the one who gets the most news coverage. The victims are the ones the media should focus on. Maggy wrote: This is Victoria. She died a hero. She hid her first graders in the cabinets and closets after hearing the gunfire. When the shooter came to her classroom, she told him that her students were in the gym. He then gunned her down and moved on. 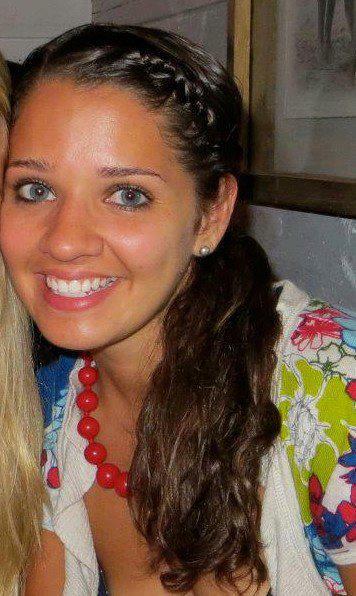 She saved the lives of all of her students. There's been so much grief and sadness over the last 2 days over the massacre of precious young lives in Connecticut, I thought maybe I'd lighten it up a little. Does everyone recognize this Christmas song? Love it CindiGirl! However, they should have spell-checked!! I'd like to pass on a touching poem. I received this poem today. Please forward this to whomever you feel will benefit. It is absolutely beautiful. May these little children rest in Peace. He saw all of the hurt, the sorrow, and woe then He closed His eyes and He outstretched His hand, "Let My power and presence re-enter this land!" "May this country be delivered from the hands of fools"
That's lovely isn't it Cindi....thanks for sharing. I believe the last line. That was beautiful! thanks Cindi! Some children were not Christian but the poem and thought is beautiful. Long lasting depression is a demonic possession. Just saying, you know, throwing it out there. Beautiful CindiGirl. Thanks so very much for sharing. Maggy wrote: Long lasting depression is a demonic possession. that can bring comfort in a time of sorrow, and remind us that God is present even in the midst of tragedy. "This is heaven," said a boy, "We're spending Christmas at God's house." Then He opened His arms, He called them by name. He gently whispered to her "I'll take care of mom and dad." He saw all of the hurt, the sorrow and woe. "May this country be delivered from the hands of the fools,"
"I'm taking back my nation, I'm taking back my schools!" "In the midst of this darkness, I AM STILL THE LIGHT"
Cindi, did you just PM me? I got a notice but only the previous one that you send was there. Its happened before, I get a notice and there's no mail till a short while later or a couple of hours. If I don't answer your PM, you now why. the lost little ones ? I don't understand the connection. Maggy wrote: Cindi, did you just PM me? I got a notice but only the previous one that you send was there. So, so sorry Maggy. I deleted your pm by mistake. I didn't get the link you sent on my email but I took your advice and embedded it from UTube AND IT WORKED!!! Thank you so much. I have read the news on that horrific crime, but when it comes to that monster I don't read. Anyone who commits such horrible crimes has to be demon posses.